Israel's Health Ministry isn't too keen on calling "Heinz" ketchup. In fact, thanks to the low tomato paste content, they're rejecting the brand as the tomato condiment altogether. According to Time, the ministry says that the product does not contain enough tomato to be worthy of the name ketchup. They ask for a 10 percent minimum. This leads to the question, how much tomatoes are actually in our everyday ketchup? 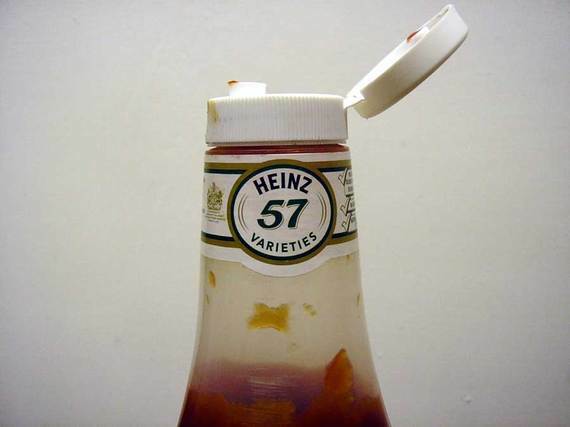 We never knew Heinz contained so little, yet here we are with less than 10 percent of actual tomato paste. Competitor Osem, a food manufacturer, protested about the amount of actual tomato that exists in a bottle of Heinz. While English labels may still call it "ketchup" the brand must be labeled as "tomato seasoning" in Hebrew text. An importer of the ketchup is working with the ministry to change the 10 percent tomato requirement to 6 percent. Until then, Israeli consumers will be enjoying tomato seasoning with their food. So currently a 10 percent minimum of tomato paste is required for ketchup to be called ketchup. If it gets any lower, are we still eating ketchup? Israel's definitely right in the fact that we may very well be drowning our foods in corn syrup, vinegar and sugar that happens to be red.